James Kate Lashway arrived just over 2 weeks ago on Sunday, June 11th, at 1:05pm. She is named after my dad (who was known as Jim or Jimmy), who passed away 8 years ago, and my grandmother, Katie, who is still here to love on her great-grandchildren. We are calling her by both her first and middle names - I just love the double name! It’s probably going to take a little bit of time to make “James Kate” stick up here in the North, but this Southerner is up for the challenge. At 10:45pm on Saturday night, while I was in bed and just about to fall asleep, I felt my water break. It was not as dramatic as when it broke with Roswelle, but I knew it was the start of a long night for us. We started packing for the hospital – they wanted me to come in just to get checked out – we were planning to return home to work through the initial stages/hours of labor. We arranged for Paul’s brother to come over to our house, as Roswelle was already asleep in bed. On the way to the hospital, I had 2 or 3 contractions but was still fairly comfortable. By the time I was checked in and evaluated at the labor and delivery triage, my contractions had moved to 2-3 minutes apart. 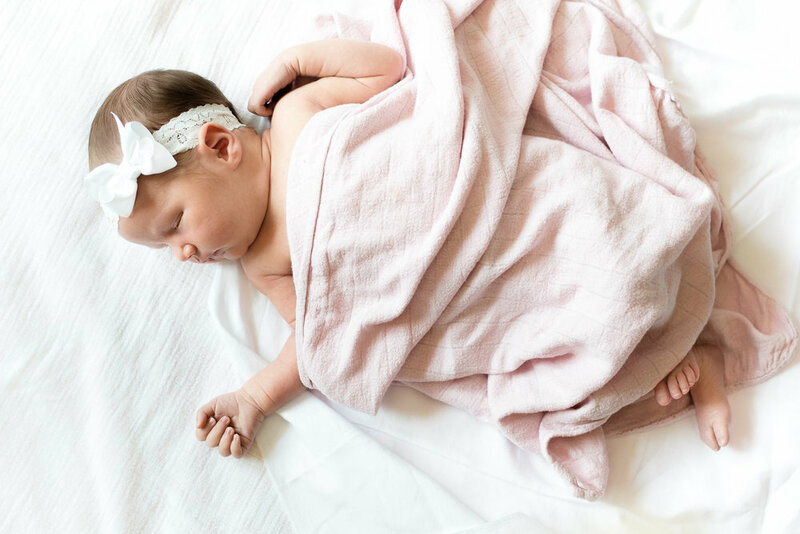 The midwife suggested that I go ahead a stay at the hospital as I was headed into active labor and attempting a VBAC, which meant the baby would need just a little more monitoring. By 2am I was checked into our delivery room and very uncomfortable. 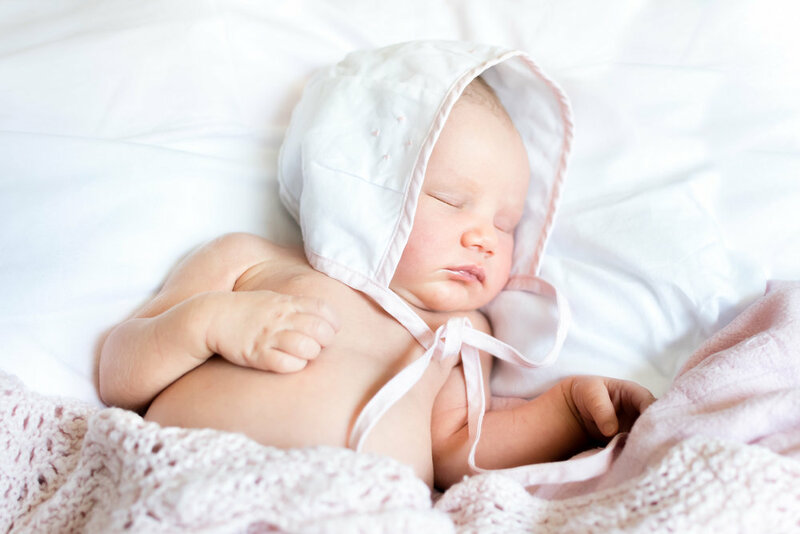 The midwife checked my dilation – I was 2cm. I could.not.believe.it. I was in so much pain! This was just the beginning? It was discouraging news to say the least. Thankfully, my doula, Keelia, arrived around that time. Paul and Keelia didn’t leave my side for the next 4 hours – helping me through each contraction which were consistently 90 seconds to 2 minutes apart. I was gradually becoming utterly exhausted. We later laughed that Paul would help me count through my breaths. As the contraction started, he would say "ok, 5 breaths you can do this!" - and we'd begin counting and wouldn't stop until 12 or 14 - the contractions were coming often and they felt longgg. After 6 hours of labor I asked for the epidural – it was 6am, I had been up for 24hours (since Saturday morning) and was 6cm dilated. I decided that it was more important to me to have the energy to push and not feel so exhausted once she finally arrived. I wanted a successful VBAC and to enjoy her post delivery more than I wanted a drug-free birth. All births are different and their own, but my c-section experience with Roswelle was definitely influencing my decision-making this time around - I wanted to feel good. The epidural was a dream, with no side effects; I could move my legs and actually did feel the delivery. By 9:30am, 3 ½ hours after the epidural, I was fully dilated. My doula encouraged me to wait as long as possible to push, allowing James Kate to continue to move down. We wound up waiting 3 more hours, as she worked her way down on her own and I finally pushed for 25 minutes before she was placed on my chest. I had dilated 1cm per hour, experienced 6 hours of labor and 6 hours of rest before pushing. We delayed cutting the umbilical cord and left the vernix on her skin, rubbing it in rather than washing it off. It was a perfect delivery – she and I were both safe and healthy. We didn’t have any visitors that first night, not even Roswelle. Paul and I held her on our chests, kept the lights down low and the room quiet, getting rest and enjoying our new baby. I showered; we ordered food from Darwin’s just down the street from Mount Auburn Hospital. The next morning was sunny and I felt rested and was excited for Roswelle to come visit. Our hospital stay at Mount Auburn was great and we got just enough rest and quiet time with James Kate before returning home to our new life with two daughters. 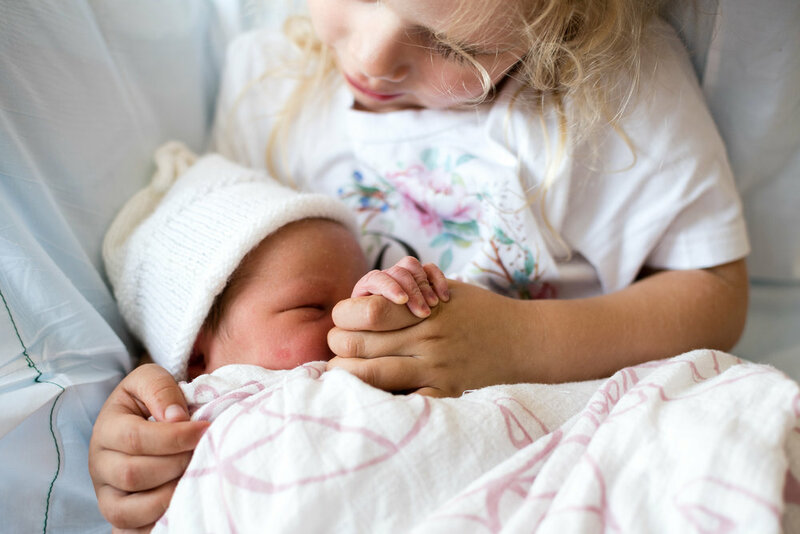 The transition has been what you would expect – mostly good and joyful with a few tough moments - toddler tantrums and new mommy tears mixed in. 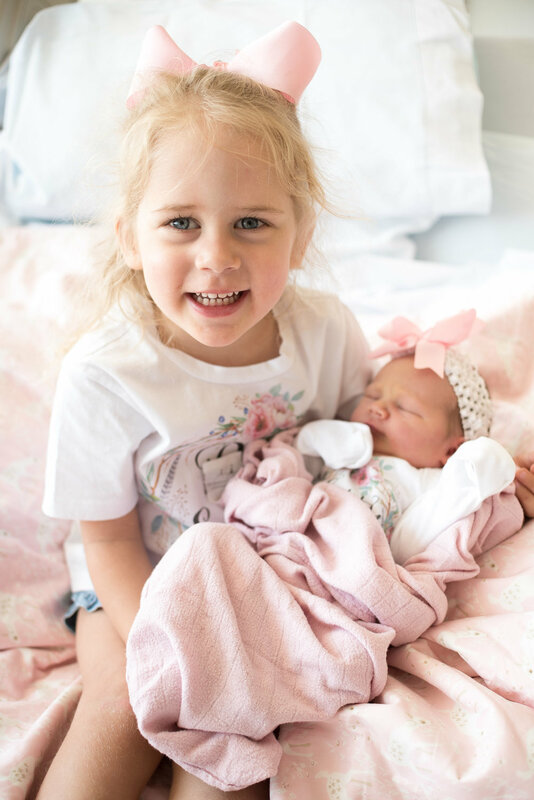 Because this post is already so long, I’ll be writing soon about the first few weeks at home – including what I’ve done for self care, helping Roswelle transition to big sister, and how I kept things as simple as possible when it comes to baby gear. Thanks for all the well wishes, we’ve read every single one and appreciate the love and support. The journey to our second baby was one I would have never predicted but I’m thankful for all of it as it only prepared my heart more for sweet James Kate.